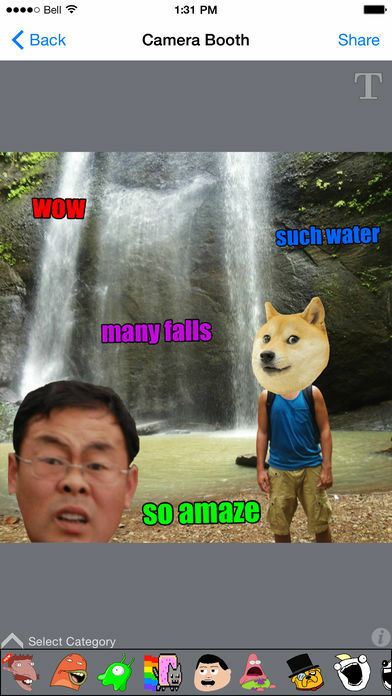 With over 5 MILLION users SMS Rage Faces is the best rage faces and meme app out there! …And it’s FREE!! ● Easy to use! Tap the face you want, Hit the SMS Button, Paste the face into your message! ● Search to quickly find the face you need! ● Imoji Stickers are now added as a category. 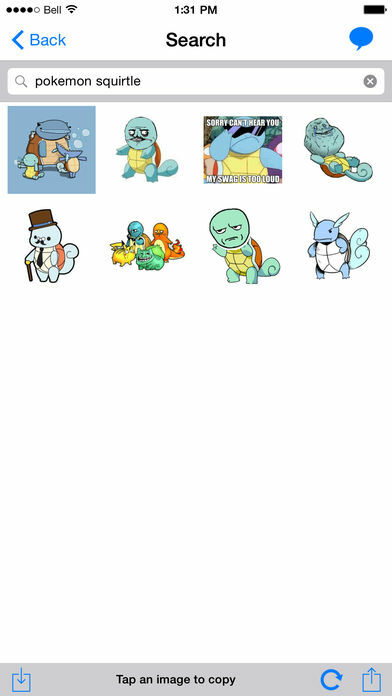 Search their huge library of stickers from the app! ● Import your own faces and memes into the app for quick use! ● WhatsApp Mode will optimize the image size to look better in WhatsApp messages. 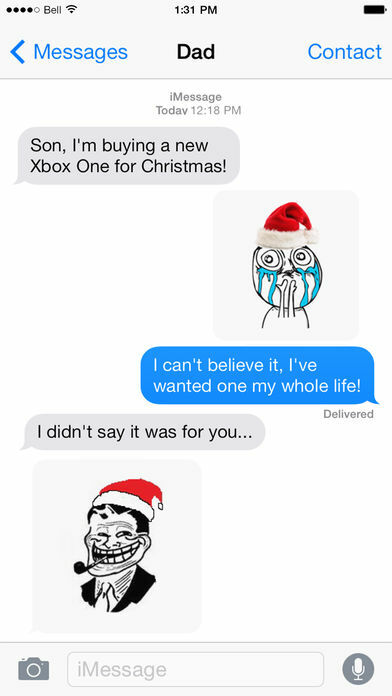 ● Share rage faces with friends on Instagram, Facebook and Twitter! ● Add your most used faces to the favorite category for easy access. 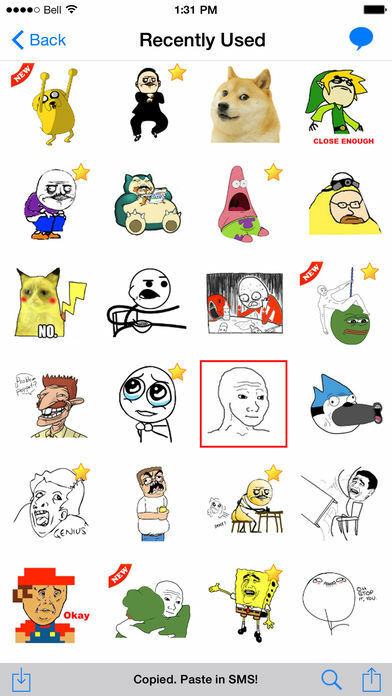 ● Save rage faces to your Photo Album with the tap of a button! ● Profanity Filter to hide the faces with curse words for your kids! ● Zoom in to get a detailed look at the faces by double tapping the screen! ● New faces will have a ‘NEW’ label to help you keep track of what’s been added! Switch to toggle displaying the label can be found on the info page. 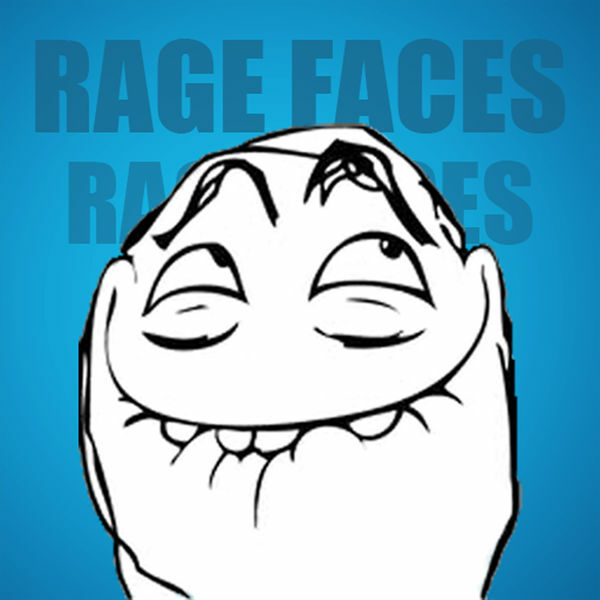 ● Customize your pictures with the most popular rage faces and memes! ● Share your created images on Instagram, Facebook, Twitter and more! ● Rotate/Resize/Move with only 2 fingers! ● Add custom text! Choose any color and select from a handful of fonts. ● Many applications do not allow images to be pasted in them. 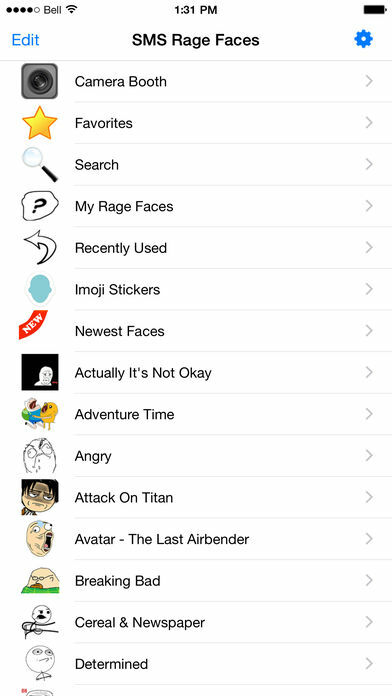 Sorry for the inconvenience, however for these apps you can save our rage faces to your photo library and import them to send! ● iMessage allows images to be pasted in your messages! Update your iPod Touch to iOS 7.0+ if you haven’t already! ● WhatsApp and WeChat also allows images to be pasted! ● Messages that can’t be sent as an iMessage will be sent as an MMS.